North Korea's Musudan Missile Test Actually Succeeded. What Now? North Korea claims its sixth Musudan missile test this year was a success. Why does that matter? Kim Jong-un’s Thursday statement also helps explain why we’ve seen a particularly unusual spate of Musudan testing this spring. North Korea watchers have speculated that the repeated and rushed testing could have been due to Kim Jong-un needing to demonstrate, in line with his byungjin ambitions (more on that here), that he possessed a credible strike platform capable of hitting the U.S. territory of Guam. 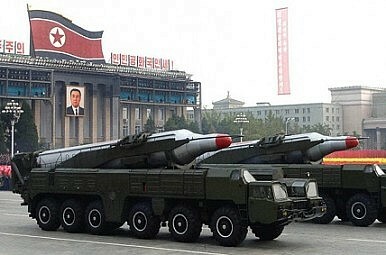 North Korea’s KN-08 and new KN-14 intercontinental ballistic missiles, which may be capable of striking most of the continental United States if developed successfully, remain in development and have yet to be test-fired. Jeffrey Lewis, a North Korea watcher and nonproliferation expert at the James Martin Center for Nonproliferation Studies, notes that “If we do nothing, this ends in a successful flight test of the Musudan-based KN-08 (ICBM).” This test should be a reminder for policymakers in the United States and certainly in the region that North Korea continues to make steady progress on a range of platforms that bring Kim Jong-un closer to realizing the nuclear leg of byungjin, threatening regional peace and security. It’s far from obvious where Pyongyang goes from here. Kim Jong-un’s statement on Thursday suggests that the signaling value of the Musudan tests has been accomplished and, with a limited inventory of missiles remaining, Pyongyang may choose to hold off on further testing. Conversely, it could continue testing to protest international isolation and sanctions. The nightmare scenario is the possibility of Pyongyang using the know-how its gained with its Musudan testing to eventually conduct a flight test its KN-08 ICBM, with a possible atmospheric nuclear detonation to remove any doubts about miniaturization. However, amid attempts at an uneasy rapprochement with Beijing and even a willingness to enter a track 1.5 dialogue with regional and U.S. diplomats this week, Pyongyang may choose to tamp down its spate of testing somewhat and claim that its long-sought goal of credibly being able to threaten Guam with a nuclear strike has been achieved. With the country under economic stress from sanctions and under increased agricultural stress precipitating a famine, Kim has plenty of reason to turn his attention to the economic leg of byungjin.